BANGKOK– The Office of the Permanent Secretary to the Prime Minister has concluded the “Following in Father’s Footsteps: Doing Good in Tribute to His Majesty” volunteer program after successfully packing over 3 million donation bags in devotion to His Majesty the late King Bhumibol Adulyadej. 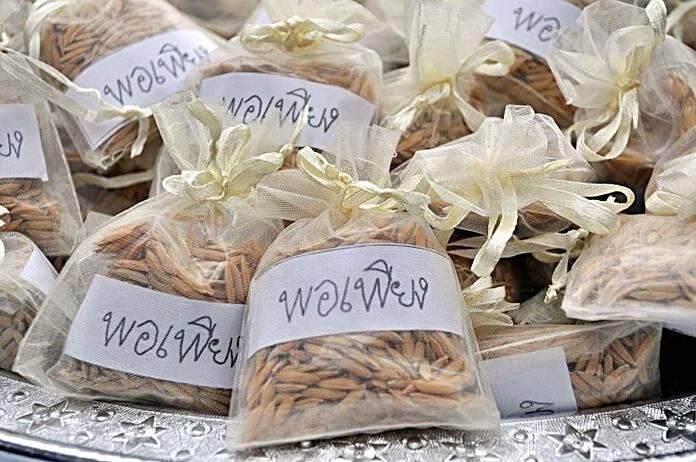 Prime Minister’s Office Minister Omsin Cheewapruek chaired the closing ceremony for the program, which saw large groups of volunteers packing bags of rice for hand out to mourners at Sanam Luang. The program began on October 29 and saw 45,000 volunteers from both the public and private sectors packing a total of 3,565,000 bags of rice. The amount is sufficient for hand out until January 19 of next year. The minister thanked all who devoted their time and energy and commended them for their success. He then proceeded to open the Big Cleaning Day effort of the Office of the Permanent Secretary to the Prime Minister, which was used for rice packing during the volunteer program.